In our counseling we offer guidance, insight and the chance for emotional healing. We provide therapy for deeper issues of trauma and neglect. We address not only the behavioral and cognitive aspects, but also the emotional aspects of troubling issues. Often clients realize that they did not learn what they need to know to lead a happy productive life -or- what they learned does not help them achieve this. Clients resolve past and current issues to find they’ve changed their approach to life. This leads to happier lives with a fuller sense of the real self, more loving and more connectedness. With more than 25 years of experience in social work, Dr. Lynn Turner is an Individual and couples therapist who also specializes in working with children and step-families. She integrates warmth, caring, challenge, and optimism into her therapy and leadership styles. Emotional healing and the Enneagram form the backbone of Lynn’s work with clients and groups. This is integrated with cognitive and behavioral aspects as needed. Lynn is an active participant in therapy, making suggestions, urging new choices and teaching ways of understanding ourselves and our environment. In addition to individual sessions, Lynn leads emotional healing groups for relationship issues, childhood sexual abuse and weight issues. The group dynamic allows for validation of emotions and reactions as well as the cognitive restructuring of old messages. Old emotional imprints and the resulting thoughts and reactivities are dissolved. New awareness of the “true” self emerge and individuals begin to lead their lives differently. Lynn is a PAIRS Master Teacher, having taught more than 20 PAIRS courses and completed three research projects on PAIRS. As a researcher, Lynn has an intense interest in how the brain functions, and the nature of consciousness, taking classes and attending conferences on these subjects. She encourages clients to integrate mind, body and spirit through knowledge and practice. Lynn initiated the community offering, Healthcare Discovery Series, a monthly lecture on healthful options. She has published in professional journals and presents at professional conferences yearly. Lynn is a board member of the United States Association of Body Psychotherapists. Elizabeth Anderson has over 15 years of experience in social work, and works with individuals, couples, and groups. She specializes in helping clients to create deep, positive changes in their relationships and in their lives. Elizabeth is particularly skilled in helping those who have found themselves overwhelmed with depression and a life half-lived. Elizabeth offers Bonding Psychotherapy, a group process which is highly effective in treating problems such as anxiety, depression, stress, and the traumatic effects of abuse and addictions. She is a Bonding Psychotherapy Fellow, and has been leading groups and workshops since 1999. She is a co-leader of the PAIRS course. Elizabeth integrates training in Gestalt Therapy, Self-Relations Therapy, EMDR, and couples work, including PAIRS. She also draws on her life experience as a former music teacher, family caregiver, long-term spouse, and parent. Clyde completed the PAIRS Mastery course in 2002 with his wife of 28 years, Marian. Since then he has received certification in the PAIRS and PEERS programs. Working with Dr. Turner and Marian he has co facilitated 8 PAIRS courses, these include the PAIRS Relationship Mastery, the Relationship Roadmap and Passage to Intimacy courses. In additional to his experience as a developing intimate marriage partner, Clyde brings his training in group facilitation and psycho-bonding to the classroom. Articulate and inspiring, he is committed to breaking down barriers that stop people from being loving and supportive partners. Passionate about this work, his enthusiasm and love of people are contagious. He understands that the key to creating loving relationships is in valuing your self. Over the course of a 30-year professional career in leadership and human resources he has developed an understanding that investing and growing your relationships is the basis for all success. Marian Horton has a master’s degree in Social Work from Howard University and is a certified PAIRS Leader. Marian specialties include mood disorders, ADD/ADHD, life transitions, and couples counseling. She has co-led the PAIRS Mastery course for six years. 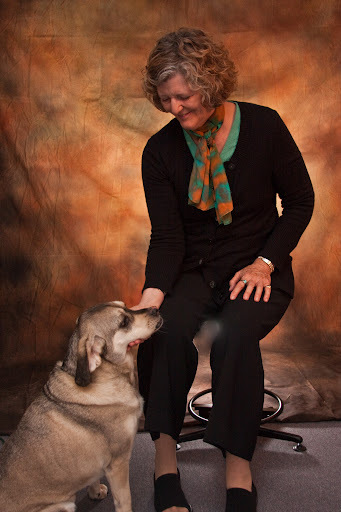 In the last 18 months she has trained at the Center in emotional healing therapy. Additionally, Marian works at the Commission for Women, Career and Counseling Center in Rockville, Md. where she provides therapeutic treatment and education to individuals, couples and support groups. At the commission, she has developed a deep understanding and appreciation for the diverse cultural needs of her clients. Marian’s PAIRS experience began in 2002 when she and her husband, of 27 years, enrolled as participants in the PAIRS Mastery course. Since their successful completion of this intense 120 hour course, she has co-facilitated five Mastery courses and several other shorter PAIRS courses. In a past career, Marian had over twenty five years of business; professional and career coaching; and mentoring experience. Marian brings a strong commitment to make a difference in the quality of life for everyone she touches. Rita has been a Certified Rubenfeld Synergist since 2002. She holds a Masters in Pastoral Studies from Loyola University in Chicago; serves on the Board of Directors for the International Association of Rubenfeld Synergists; is a member of the DC Area Guild of Body Psychotherapists; and has over 35 years of training and experience in spirituality. Rita incorporates Neuro-Linguistic Programming, Doubling, Family Constellations, Dreamwork and Voice Dialogue techniques and principles in her work. Rita passionately believes in the goodness and value of each person. She creates a safe environment where clients learn to become aware of their power and beauty by listening to memories, emotions, images, patterns, body sensations, spirit and energy. Clients appreciate that they are thoroughly listened to and that their thoughts and feelings are honored and validated. Rita artfully combines humor, gentleness and compassion with the principles, ethics, and unique methods of Rubenfeld Synergy to facilitate clients’ growth in self-acceptance and love. The Rubenfeld Synergy Method® is a dynamic and highly effective therapeutic process whose goal is to facilitate mental, physical, emotional and spiritual integration and health. Its innovative approach combines gentle touch and body awareness and movement with attentive dialogue and deep listening. Clients learn to befriend their feelings, set healthy and appropriate boundaries, address unresolved issues, free blocked energy, and access and utilize the power within. Ilana Rubenfeld developed the Rubenfeld Synergy Method by integrating bodywork (Alexander Technique and Feldenkrais Method) and psychotherapy (Gestalt Therapy and Ericksonian Hypnotherapy). Her method gradually grew greater than the sum of its parts, becoming synergy. Rubenfeld Synergists are certified only after successfully completing a rigorous and well-supervised four-year training program and internship. Liam is a fun-loving dog, full of energy and compassion. He loves attention and enjoys quietly curling up on his bed in Dr. Lynn Turner’s office during therapy sessions with dog-friendly clients. He takes both his protective and soothing jobs very seriously. Therefore he will bark if someone new enters Lynn’s office without being introduced, but he will also sit soothingly by the side of a crying client. Liam stays in Lynn’s office, but sometimes greets clients in the waiting room. Feel free to tell Lynn if you would rather not have him in the office during your session. "Trusting environment and open to all perspectives" "Tiny little truths unfolded and multiplied, leading to often breath-taking self-discoveries." "This course has turned my life completely around." "This has been a life altering experience." "It's a self-examination, not an attack, and you learn and want to change yourself instead of just being told what to do."